Search Results for "teaching computer"
Young beautiful female nurse teaching computer skill to senior man. Asian woman using laptop with old asian man with white beard in bed. Senior home service, care taker concept. Source Code Hard Glitch Simple Small Double. Two columns of source code (instruction for computers in their language) scrolling on a screen, with a heavy digital glitch distortion (errors in transmission over airwaves). Senior father and his young daughter using laptop at home. Teen granddaughter teaching grandfather computer literacy, explaining how internet works. Active modern life after retirement. Source Code Hard Glitch Scrambled Crypto Dark. Scrambled source code (instruction for computers in their language) scrolling on a screen, with digital glitch distortion (errors in transmission over airwaves). Dark color tones. Source Code Hard Glitch Scrambled Crypto Blue. Scrambled source code (instruction for computers in their language) scrolling on a screen, with digital glitch distortion (errors in transmission over airwaves). Blue gradient. Daughter teaching her father computer skills in balcony. Asian man with white beard and young woman sitting in balcony using laptop. Senior lifestyle family concept. Daughter teaching her father computer skills in living room. Asian man with white beard and young woman sitting in living room using laptop. Senior lifestyle family concept. Father and son are modeling a toy airplane while checking instruction on a tablet computer in a garage at home. Calm dad and daughter sitting on couch and using tablet computer. 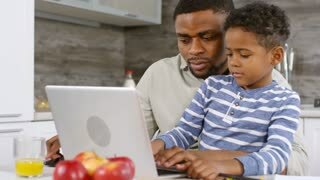 Father teaching his kid how to use computer program. Education concept. Retired wife teaching husband to use tablet computer in modern apartment kitchen. Senior woman hugging mature man. 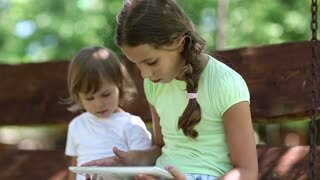 Woman teaching girl to use tablet computer at home. Mother helping daughter surfing the internet, browsing. Two people talking and smiling using touchpad.